Rather than provide a long list of links to mechanical puzzle sites here, I'll provide only a few links to some of the more popular sites. Check the link lists on these sites to find many, many more sites. Let me know if you have any links I really should include here. Puzzle World (www.johnrausch.com/PuzzleWorld) – Large collection of mechanical puzzle information. Puzzle Museum (puzzlemuseum.com) – Online museum of real puzzles from one of the world's largest mechanical puzzle collections. Rob's Puzzle Page (robspuzzlepage.com) – Site has a lot of good stuff about mechanical puzzles and a good page of links to other sites. 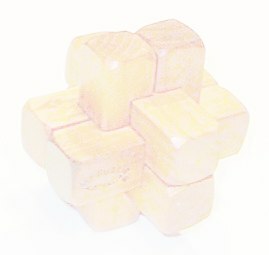 Web Guide (thinks.com/webguide/mechanical-puzzles.htm) – links to many other puzzle sites.